Finally, 101 days into the year, the first new Beatles record of the year hit stores in the UK. Some of them, anyway; because Paul had remixed “Get Back” just a few days before the scheduled release date, there hadn’t been time to press enough copies to go around. This situation would be rectified within a few days. The single was officially credited to “The Beatles with Billy Preston,” though neither Billy’s name nor his face appeared on the cover. There was no producer credit, reflecting the chaotic genesis of the music recorded during the Twickenham and Apple Studios sessions. 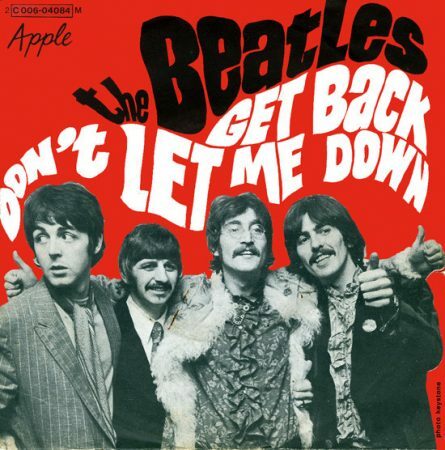 Get Back is The Beatles’ new single. It’s the first Beatles record which is as live as live can be, in this electronic age. There’s no electronic whatchamacallit. Get Back is [a] pure spring-time rock number. On the other side there’s an equally live number called Don’t Let Me Down. P.S. John adds, it’s John playing the fab live guitar solo. And now John on Don’t Let Me Down: John says don’t let me down about Don’t Let Me Down. In Get Back and Don’t Let Me Down, you’ll find The Beatles, as nature intended. Furthermore, late in 1969, Dekker would share a bill with the Plastic Ono Band at a UNICEF benefit in London. But, hmm… we have wandered far afield from where we started, and the hour grows late; time to lay down the task for today and take some rest to be ready for whatever comes next.